Bobby Schuller is the host and preaching pastor of The Hour of Power with Bobby Schuller television program. Bobby is the grandson of Hour of Power founder and legendary televangelist Robert H. Schuller. Bobby graduated from Oral Roberts University in 2003, received his Master of Divinity degree from Fuller Theological Seminary in 2008, and is an ordained minister in the Reformed Church in America. He is author of the books, Imagine Happiness, and Happiness According to Jesus. Bobby has appeared regularly on other television shows, such as Canada’s “100 Huntley Street” and TLC’s “The Messengers.” Bobby resides in Orange, CA, with his wife Hannah and their two children. Carmen LaBerge: Hey, friends, you are listening to Connecting Faith. I’m your host, Carmen LaBerge, and we’re going to celebrate, for the next few minutes, how God loves us, that we are indeed His beloved, and that changes everything, not just our perception of ourselves, but the way in which we can live in the fullness of freedom, of mercy and grace and hope and love. Carmen LaBerge: Talking with me today is Bobby Schuller. He’s the lead pastor at Shepherd’s Grove Church in Irvine, California. He’s the host and preaching pastor of Hour of Power with Bobby Schuller. It’s a television ministry that broadcasts around the world. You can find it at hourofpower.org, obviously also on Facebook and on Twitter @hourofpower or @bobbyschuller. Bobby, welcome to Connecting Faith. Bobby Schuller: Hey, Carmen, thanks so much for having me. Carmen LaBerge: Now, I’m sure there are people who, right now, are asking themselves the question that maybe everybody asks. Okay, how is Bobby Schuller related to Dr. Schuller? Bobby Schuller: Yeah, so the famous Dr. Schuller was my grandpa. Also, he and I were very close. We used to go fishing a lot. If you don’t know who Dr. Schuller was, he was a very positive, smiley, old preacher in a robe, with white hair and big, gold glasses, and would interview famous people. He was such an inspiration to so many people and, at the end of his life, really did a lot of amazing things geopolitically and stuff, and was my mentor. We were very, very close. He’s very, very sorely missed, a good, just a wonderful man. Carmen LaBerge: His legacy is certainly alive and well in you and in others, and so let’s talk specifically about love and being beloved and freedom and grace and mercy. Let’s just pour it out on people, because if the people listening are like me, life is hard. It’s complicated. It’s full of rough patches and disappointments and things that don’t … Even ourselves, we don’t quite live up to all that we might expect ourselves to be. The book is You Are Beloved: Living in the Freedom of God’s Grace, Mercy, and Love. Why lead with the statement, “You are beloved”? Bobby Schuller: Because at the heart of the Gospel, I mean, that’s really what we’re teaching is God’s first love towards us. I feel like the Church preaches about love a lot, and about God’s love, that if you go to church for a long time, it’s easy to feel like, okay, yeah, another message about God’s love. The problem is there’s this place of our heart … We maybe believe it intellectually, but there’s this part of our heart that we don’t really believe it. That’s why we compare ourselves so much. That’s why we feel the pain of social competition. That’s why I’m tempted to say things like, “I’m not as good of a pastor as others. I’m not as good of a parent. I’m not as good of a friend. I’m not as good of a husband,” or wife, right? Bobby Schuller: These kinds of hidden voices are swirling around in our heart and mind a lot. They keep us up at night. They drive us into isolation. They keep us in distance from God. The book is really trying … It’s really meant to be a gift, I think, to people that find themselves doing that. It gives everyone this creed that changed my life, that helped me get that idea of God’s love really deep down in my heart, so it began to change the way I felt, the way I acted, and gave me a lot of joy, and gave a lot of people a lot of joy, actually. Carmen LaBerge: I suspect that there are at least some people listening right now, and again, let me remind them that my conversation partner is Bobby Schuller, and we’re talking about his book, You Are Beloved: Living in the Freedom of God’s Grace, Mercy, and Love. Yes, we have copies. If you would like to enter a drawing for those copies, you can, as always, text your name and address to 877-93-FAITH, or you can also call us at that same number, 877-933-2484. Carmen LaBerge: Bobby, I’m fairly confident there are people listening right now, who are thinking to themselves, okay, but this from a guy who grew up in a Christian home, who doesn’t know the kind of pain and shame and disappointment and hurt and having been sinned against that I’ve experienced. Maybe it would be helpful for you to share how you came to this place of recognizing this depth of the knowledge of being beloved. Bobby Schuller: Yeah, my life certainly wasn’t as hard as many people, but I mean, I had challenges in my own life. My parents were divorced when I was a little kid. I was abused as a kid. I had different things that happened that, as an adult man, and now a father and a husband, made it hard for me to really feel like I’m loved or that God loves me. I find that those painful experiences have actually informed me, as a pastor, because as a pastor, you’re just in touch with so much pain. People … They tell you the stories, and it’s horrible what some people have to go through, loss of children and things with their own bodies and divorce and abandonment and all of these things, loss of businesses, getting sued. Bobby Schuller: It’s like, when you’re in the middle of that, you wonder, does God even exist? Let alone, does God even love me? The truth is that God’s love can be experienced so deeply in those moments, but it’s hard. It’s hard to really feel that. Yeah, so, for me, I mean, I remember when I was actually … I’m a pretty joyful person. I may not sound like it, because those were kind of … I’m a joyful person, you know. 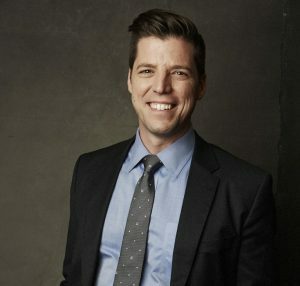 Bobby Schuller: I remember, one time, I was talking to my wife, and I was trying to tell her this story that I thought was funny, when I was a little kid, and I was trying to talk about how this person in my extended family, somebody I really looked up to, that I did something clumsy, and they called me an S-head … I can’t, you know. I was trying to tell her the story, and in my conscious mind, I thought it was hilarious, but unconsciously, clearly it was still a wound, because as I started to tell the story, I just began to weep, and I found that there was something going on in my body and in the deeper part of my soul that didn’t really, truly believe that I was loved. Bobby Schuller: I began to ruminate on this creed that says, “I’m not what I do. I’m not what I have. I’m not what people say about me. I’m the beloved of God.” It was funny how just believing that and training the unconscious part of my mind through spiritual disciplines to trust in that changed my behavior, my feelings, my sleep, my marriage, my parenting more than any other discipline ever in my life, including reading my Bible, which is … I’m a Bible preacher. I love the Bible. It was so important to me to learn to ingrain that into my DNA, and it made all the difference. Carmen LaBerge: Okay, so give that to people again. Bobby Schuller: The creed is … The full creed says, “I’m not what I do. I’m not what I have. I’m not what people say about me. I am the beloved of God. It’s who I am. No one can take it from me. I don’t have to hurry. I don’t have to worry. I can trust my Friend, Jesus, and share His love with the world.” This long creed, you know, and it’s on the back of the book. We actually say it in our church every Sunday. We say it on The Hour of Power, and I introduced this creed to everyone. We started getting letters and pillows. People were making crafts. There’s so many people, who have said, “My kids’ lives were changed,” because they were getting bullied in high school. Bobby Schuller: It’s just amazing, so that’s why I put it into this book. I really wanted people to see that this idea is scriptural, that the one thing that makes Christianity different than every other religion on earth is that we’re loved as sinners, that we belong to God when we’re fallen, that it’s not our works that get us to Heaven. It’s not our good looks. It’s not being famous, and that nobody wants us to go to Heaven more than God does. He just loves us and adores us and cares for us. Bobby Schuller: We think, “Oh, God’s mad at me, and God’s angry at me. God’s ashamed of me. God’s embarrassed. I’m a disappointment.” God doesn’t think any of those things. The Bible says the enemy, the devil, is the accuser of the brethren, and the Holy Spirit is the Comforter. So many people just need to receive this word from the Lord that you are loved just as you are, not as you should be. Carmen LaBerge: Mm, I love that. That actually reminds me of an experience I had when I was in high school. My Young Life Leader wrote on a little … she would probably … Her name was Kathy Connor. She would probably never remember this, but she wrote on a little index card that I then, very obediently, tucked into my Bible. In college, it was a little bit of a lifeline for me, again, because people around you are not always affirming, and we’re not always affirmed in the grades that we get, and we’re not … I mean, on and on and on. Carmen LaBerge: This card fell out of my Bible one day, and it just said, “You are not a human doing. You are a human being. As a human being, you belong to God and you are beloved of God.” That “be” language … I just think that it’s so powerful for people. Bobby Schuller: Right? They accept the alcoholic as they are. They’re not trying to say being an alcoholic is okay, that alcohol in your life is an okay thing to have, that being a drunk hasn’t ruined your life, but the first thing they do is take that person out of isolation by saying that they belong just as they are. Bobby Schuller: If an alcoholic comes into church and stands up and says, “Hi, my name is Bobby. I’m an alcoholic,” what do we do? We sign him up for something. We tell him all the things that are going to fix him. We basically, in a very loving, kind way, tell him he’s not good enough to be in the House of the Lord. He needs to change. He needs to work on this. He needs to improve. All those things are true, but what’s truer is that he belongs in our church. He belongs to the Lord. He belongs to us, because Jesus said, “It’s not the healthy that need a doctor. It’s the sick, right?” He’s not come to call the righteous. He’s come to call sinners. Carmen LaBerge: Right? Our community would be powerfully transformed, all right, all right, so let me just remind people again. 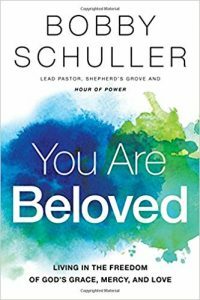 We are talking with Bobby Schuller about his new book, You Are Beloved: Living in the Freedom of God’s Grace, Mercy, and Love. If you want to enter a drawing for a copy, you can call or text 877-933-2484. You can always email me at carmen@myfaithradio.com, and you can find Bobby and everything that he’s doing at hourofpower.org and on Twitter @hourofpower or @bobbyschuller. One of the things about the book is that it’s just intensely practical, and I think that that would be helpful for people to know, because it really feels, to me, like this book is about human dignity. Carmen LaBerge: Just tell people how the book is designed to really hand us back our dignity. Bobby Schuller: Yeah, so the book is built around this creed, again, so the creed … We had endorsements and things like this, and we just said, “No, let’s just not do any of that. Let’s just put the creed on the back of the book, so somebody can just grab the book and read the creed for themselves.” That’s the biggest endorsement of all. It’s not an endorsement of me. It’s an endorsement of the reader, that the person holding that book is so precious to the Lord. Bobby Schuller: It’s like, I remember when I was a kid, or when I had a kid. When I had my first daughter, Haven, it was like … I was young. I wasn’t used to waking up at 5:00 in the morning, rocking this colicky baby back to sleep. I remember just holding her and looking in her eyes, and she was looking back at me. She’s a few weeks old, and I just remember thinking, “I would do anything for you.” I remember thinking later, she hasn’t done anything. She hasn’t achieved anything. By no means could we say she’s a sinner, but she’s not a saint. She’s just a little baby. The reason I would do anything for her, the reason I loved her so much, is because she belonged to me. Bobby Schuller: The person that hears my voice right now, you belong to the Lord. That’s the thing. It’s like, this is how God sees us. It’s like He just loves us so much, and He is love, the Scriptures say. What we do in the book is just try and make this a … It’s just like, it’s almost meant to be a meditation as you read through the book, a prayer. As you read it, you just get this message woven into you over and over and over. You’re not what you do. You’re not what you have. You’re not what people say about you. You’re not what’s been done to you. You’re not what’s been taken from you. You’re not your labels. You’re not your job. You’re not your race. You’re not your socioeconomic position. You’re not your religion. You are God’s beloved son. You’re God’s beloved daughter. Wow! It’s that thing that changes the heart. Carmen LaBerge: Well, and it’s that thing that enables people to then begin building a life of hope, because you’ve restored to them the dignity of who they are. In that, I mean, as a redeemed person, I can then … I can walk with the Spirit and by the Spirit in ways that, until I understand myself as God’s beloved, I just can’t walk. Bobby Schuller: I love that you used the word dignity, by the way, because that is so what the book is about, because the problem is all of our sin, all of our mistakes and stuff that we hate about ourselves, behaviorally, ultimately comes from isolation. It comes from … Ironically, trying to be perfect makes us exhausted, and we end up hiding parts of our lives, which tells us there’s this thing in my life that’s not lovable, and so I need to keep that hidden, or it’s not respectable, or it’d be so embarrassing if people knew about this. They wouldn’t respect me anymore. They wouldn’t have dignity for me anymore. For most people, that kind of thought is hell. I just couldn’t imagine this thing, people knowing about it. Bobby Schuller: My hope is that people will learn that they really do matter to the Lord, that just as they are they can come into God’s House and come to God. Over time, God’s going to turn lives around. It bugs me how there’s so many stories about addicts and people like this, who is like, “One day I was a drug addict or alcoholic, and the next day I was perfect.” It’s like, okay, I know God does that. For sure, He does that, but most people He doesn’t do that. For most people, it’s a journey. It’s like, “I was an alcoholic, and then I was good. I was sober for 50 days, and then I fell off the wagon, and I made a terrible mistake, but then God saved me again.” That’s how God works. It’s a journey and a process. Bobby Schuller: I think it’s so important that we have to learn that that’s Jesus’ way. It’s slow. This is the way that God makes and creates things. They don’t grow overnight. They grow slowly. Carmen LaBerge: Amen. All right, friends, that is Bobby Schuller. The book is You are Beloved: Living in the Freedom of God’s Grace, Mercy, and Love. You can call or text me at 877-933-2484 to enter a drawing for a copy. You can also check out what Bobby’s doing at hourofpower.org on Facebook and on Twitter @hourofpower or @bobbyschuller. Bobby, thank you so much for being with us here today on Connecting Faith. Bobby Schuller: Thanks so much, Carmen. I appreciate it.